Photo-sharing site Flickr has announced a deal with Getty Images that will see its users get paid for the photos they upload – if they are chosen by Getty. The way the new system will work is selected Flickr users will be invited to join a new photo group that can be found at Gettyimages.com. 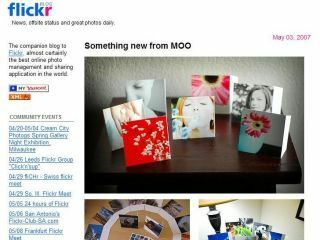 Flickr and Getty have made the group invitation-only, presumably asking the most prolific members to join. Once in, the money won't start flowing until your images are chosen. The images will be hand-picked by Getty Images staff and then sold to commercial clients, with each photographer getting a share in the commission. Speaking about the new venture, Getty's vice-president of creative imagery, Andy Saunders, said: "The new Flickr collection will expand the definition of stock photography by making it even easier for our customers to find and license imagery that works in the full range of traditional and digital media."